Wally Triplett, a legendary and pioneering figure in Penn State football and NFL history, died on Thursday at the age of 92 after a long illness, according to the Detroit Lions. Penn State football’s first African-American starter and varsity letter-winner, he also was the first African-American player to be drafted into and play in the NFL. He played four seasons for the Detroit Lions and St. Louis Cardinals before retiring in 1953. 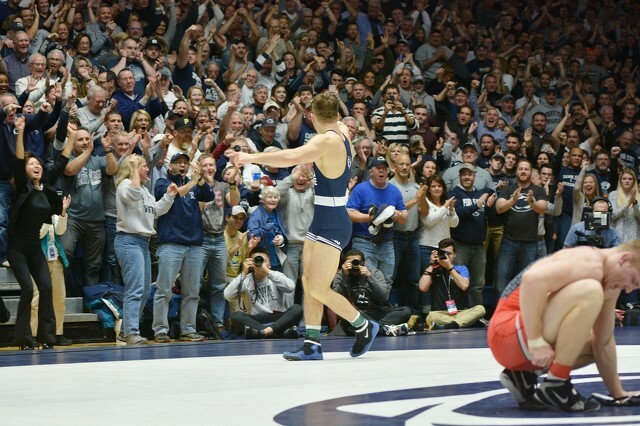 Triplett is the subject of the legend surrounding Penn State’s “We Are” chant. 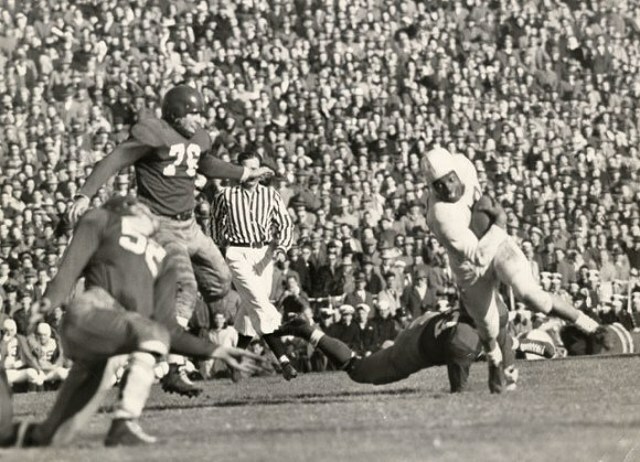 The Nittany Lions were bowl eligible in 1948, in no small part thanks to the efforts of Triplett, a tailback and linebacker. Penn State was selected to compete in the Cotton Bowl, held in then-segregated Dallas. Opponent Southern Methodist University reportedly requested a meeting to ask the Nittany Lions not to bring Triplett and teammate Dennie Hoggard. That idea didn’t sit well with Triplett and his teammates. Triplett became the first African-American player to play in the Cotton Bowl, when he caught the game-tying touchdown in Penn State’s 13-13 draw with SMU. He was inducted into the Cotton Bowl Hall of Fame earlier this year. Triplett was drafted by the Detroit Lions in 1949 and spent two seasons with the team. He set an NFL record with 294 return yards in a single game, which stood for 44 years and remains a record for the franchise. Triplett left the team in 1950 when he was drafted into the Army during the Korean War. He served two years in the military before returning in 1952, when he was traded to the Cardinals to finish out his NFL career. Triplett’s family started a GoFundMe campaign in 2016 to rally financial support for his long-term healthcare. He last visited Happy Valley in 2015, sharing his famed story with coach James Franklin and the football team after a practice. “We have a lot of things that make Penn State really unique, and his story is one of the more special stories in our history,” Franklin said. Though the true origin of the “We Are” chant has been disputed, it doesn’t really matter in the end. Triplett will be forever cemented in Penn State history as a pioneer for the game of football and African-American athletes everywhere. There will be no meetings. All right, fellow wrestling fans. I’ve got good news and good news. But I know you already know about both, so I’ll just remind you briefly of these two items to make you smile a bit more broadly.